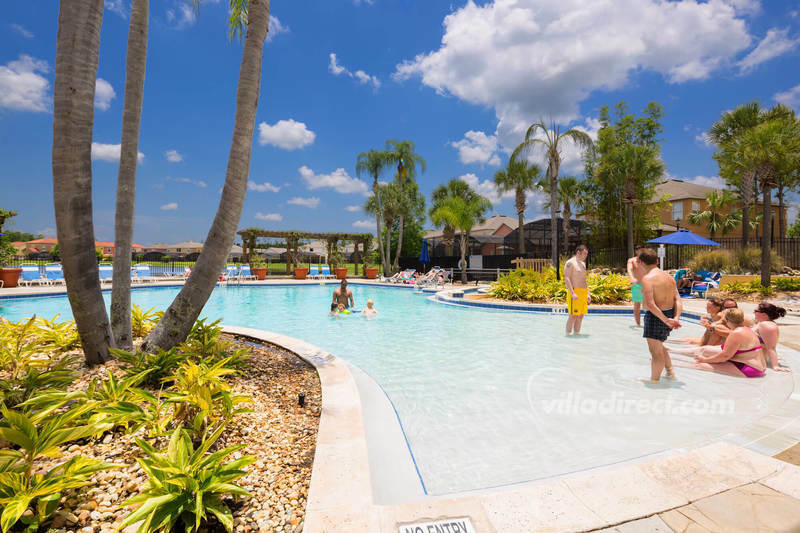 The Terra Verde resort is an exclusive development of executive 3, 4, 5, and 6 bedroom Disney vacation rentals, and 3 and 4 bedroom Florida town homes, surrounding a fully featured club house and lake, with many amenities for guests to enjoy. 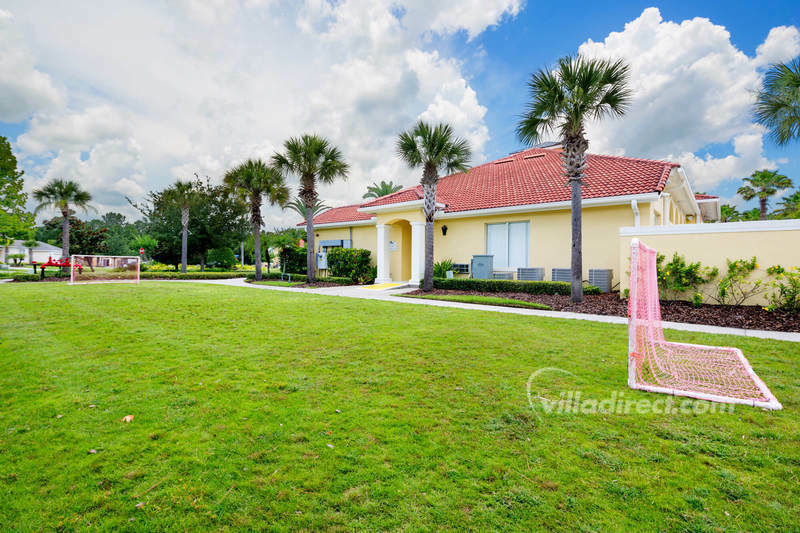 As you enter past the Terra Verde manned gate-house, you immediately find yourself in a well laid and planned Florida resort, with a private club house and facilities set in luscious sub-tropical palms and manicured landscape in front of a sparkling lake. 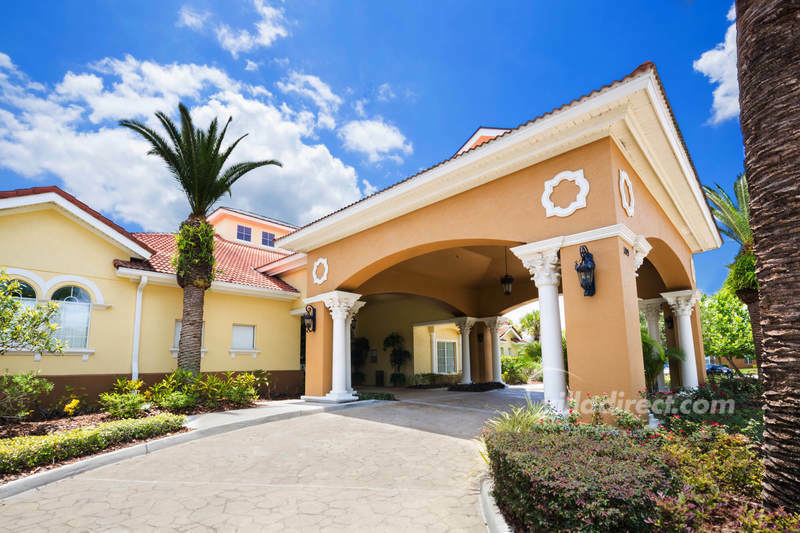 The 4,000 square-foot club house has a reception area shop which sells newspapers and sundries and can provide information for guests staying at the resort. 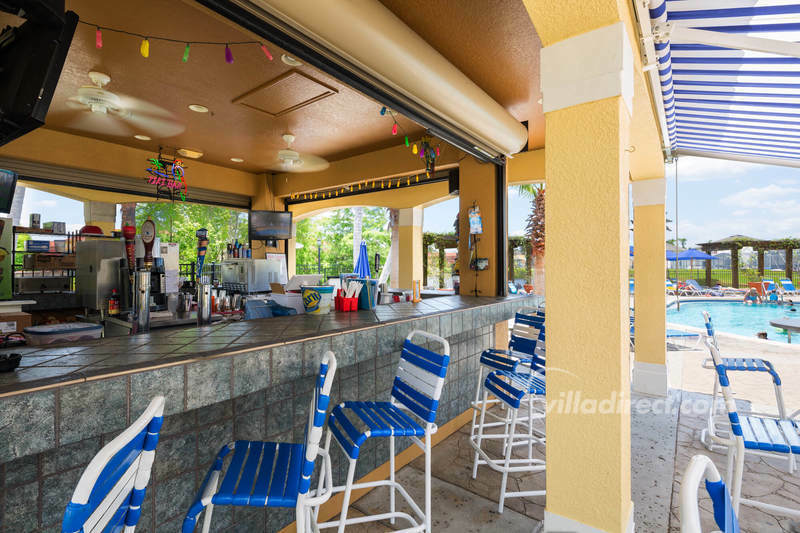 There's a lounge area, where you can sit and chat or meet other guests staying at Terra Verde. 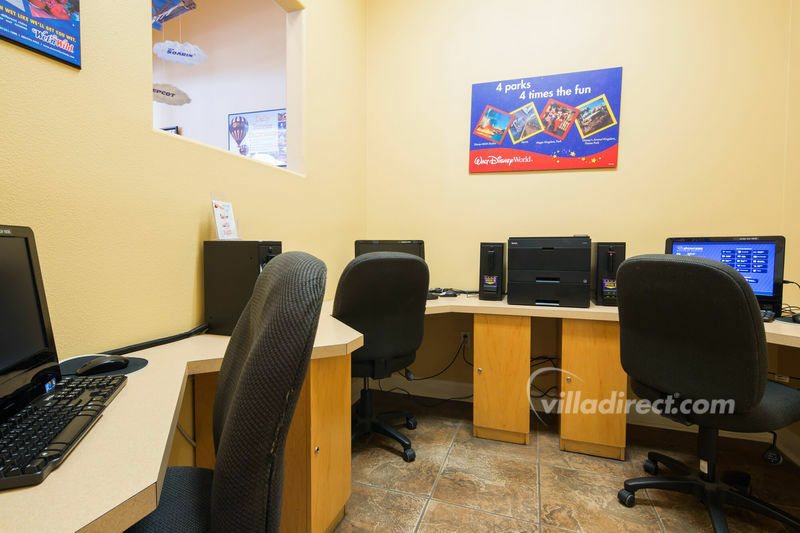 The kids when not at Disney can enjoy themselves in the games room, or on the video arcade games provided, and you can "keep in touch" while on vacation with the IT center that provides high-speed Internet access for guests. 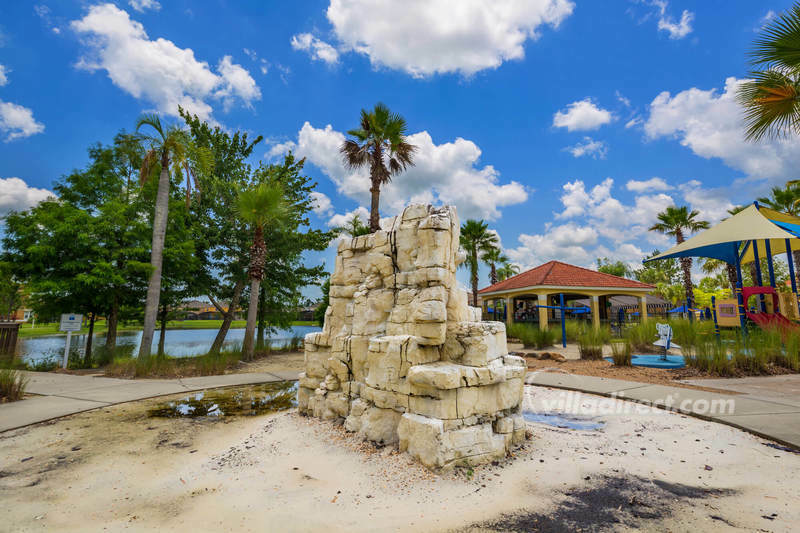 Younger kids will enjoy the tot-lot, and everyone will want to spend time around the lagoon-pool, beach area, and fishing pier! 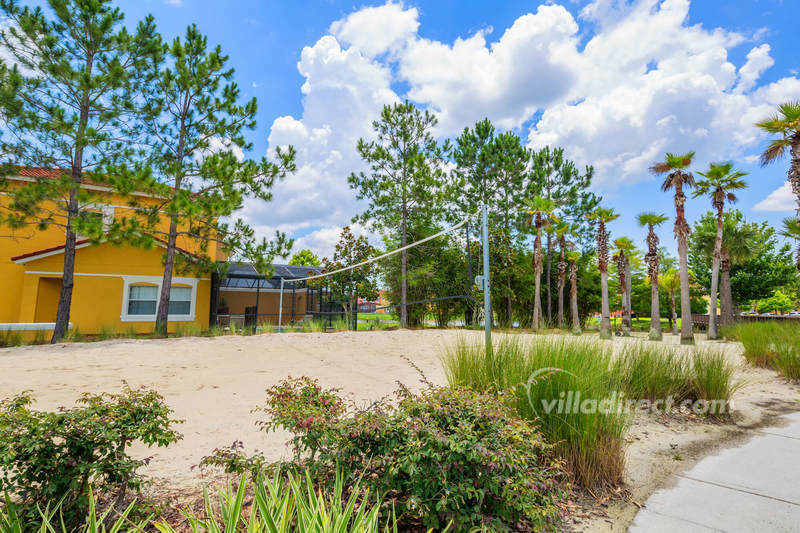 If you want to "work-off" some of that extra food you'll enjoy while on vacation, or simply keep the program on track - take the time to use the fully-equipped fitness center at Terra Verde resort, or work out with a game of volleyball on the sandy court with some new friends. 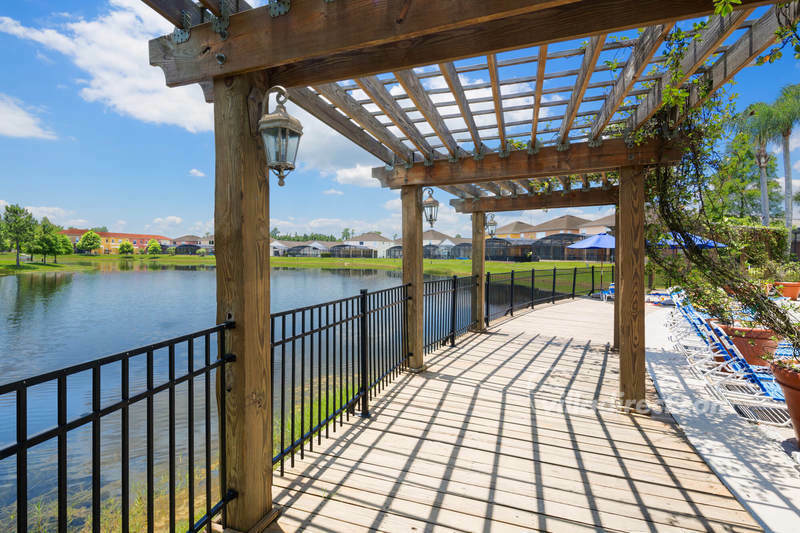 Choose to relax in the sunshine around the sparkling clear resort pool with gazebos and shaded cabanas, luscious landscaping, and comfortable deck loungers. 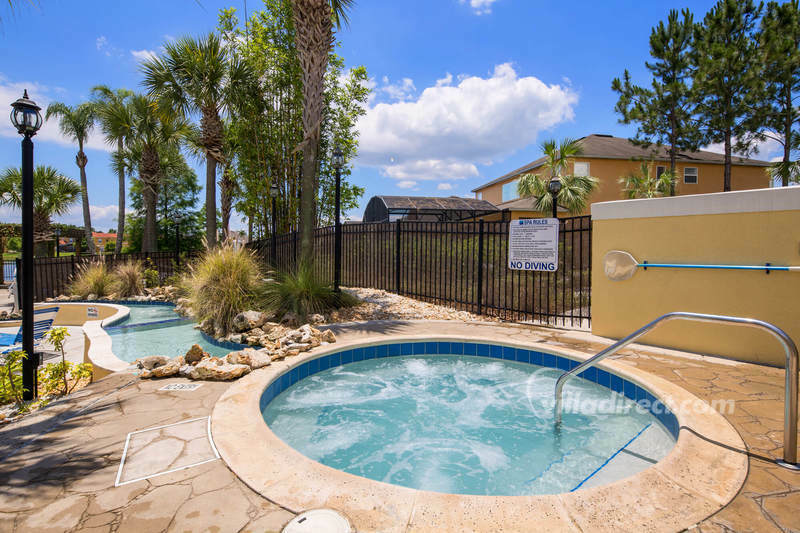 Or sit in the bubbling community hot-tub and chat with other guests as you soothe away your tensions. 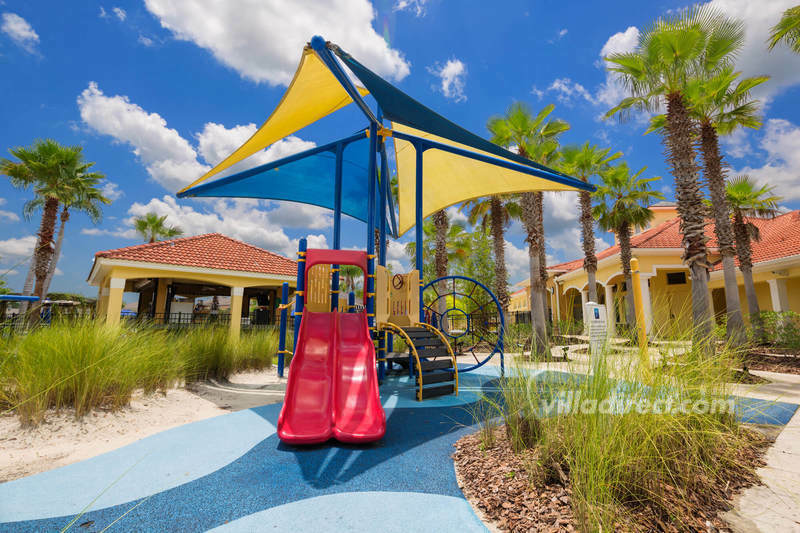 Kids will love the kiddie pool - or let them play in the tot-lot next door, as they swing on the rope swings, lie in the hammocks, climb the climbing rock. 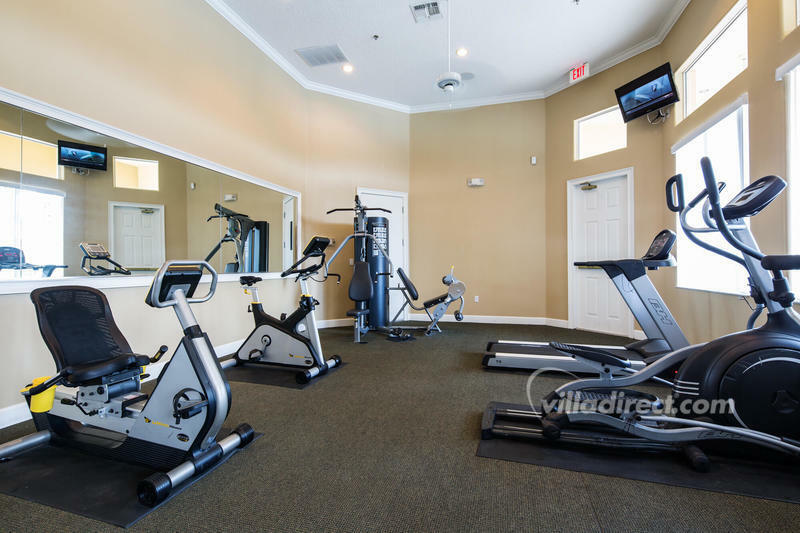 Inside the clubhouse, you'll find a sauna, spa, sundry shop, arcade video games, fitness center and cyber cafe (not all community services are available at all times). 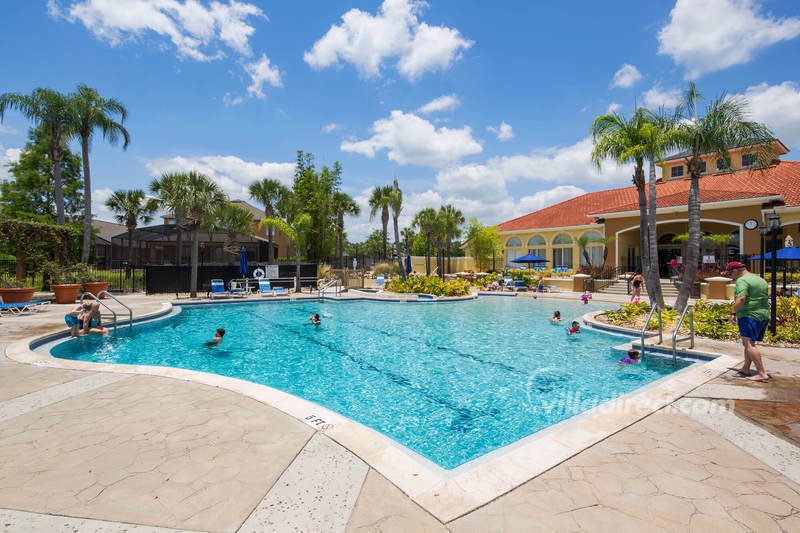 Terra Verde resort has "sister" resorts in Kissimmee and Davenport. 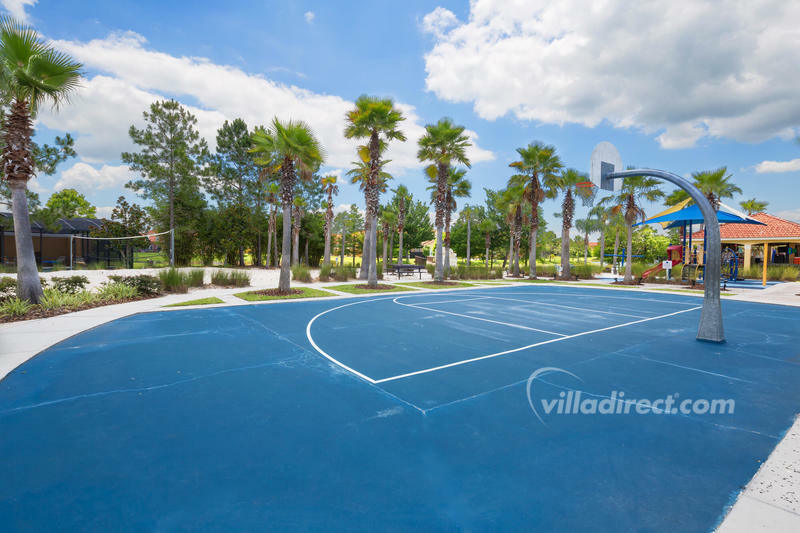 Even though VillaDirect has the largest selection of vacataion homes in Terra Verde, we are regularly fully booked. 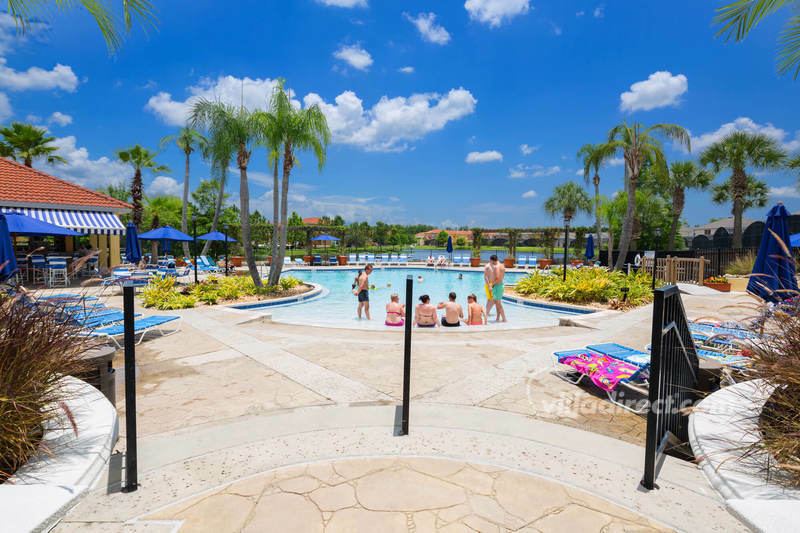 If you would like smaller or larger Disney vacation homes for your family vacation, be sure to look at either the two sister resorts of Emerald Island resort or Solana resort while on the VillaDirect.com web site. 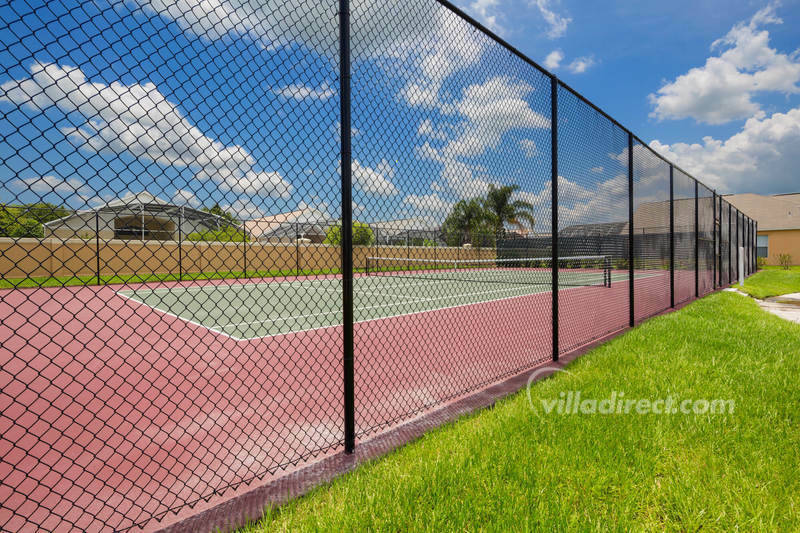 If you want even more choice, take a look at Windsor Palms, Windsor Hills, Emerald Island, or Formosa Gardens.